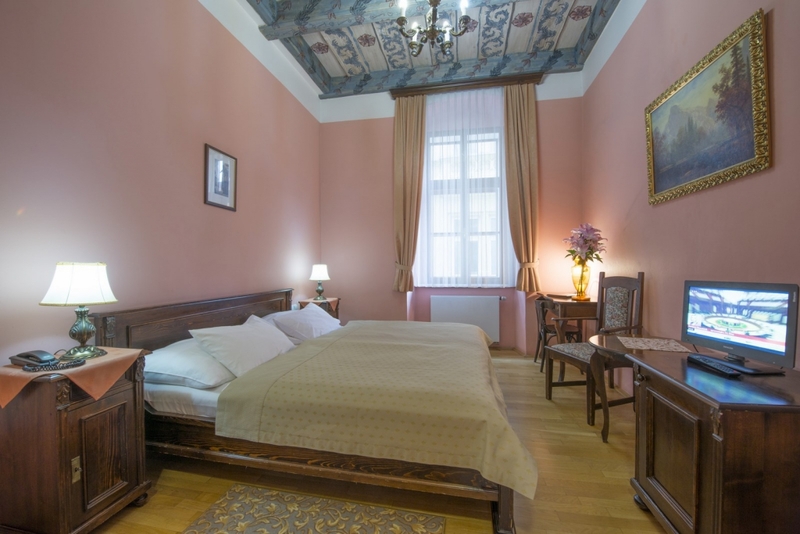 Hotel Černý slon offers quality accommodation in an authentic rooms of the most beautiful part of Prague. 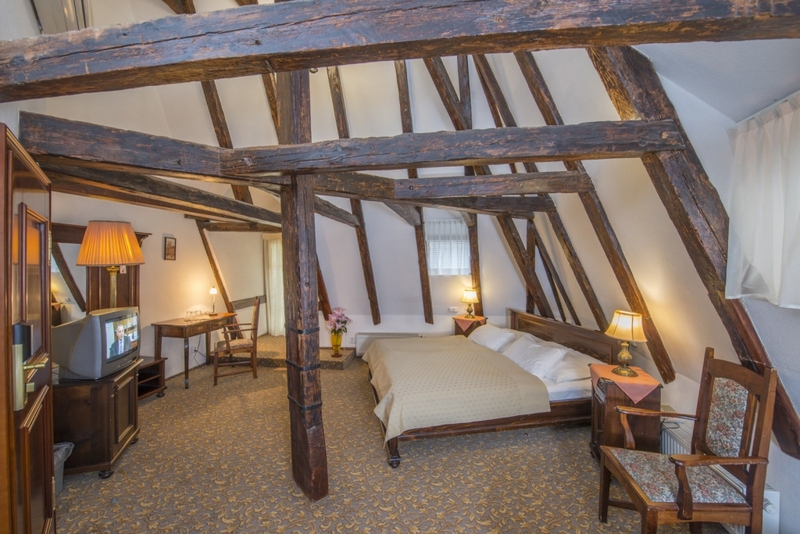 Our rooms are protected from the hustle and bustle of the Old Town Square, but provide the same benefits. You can enjoy meals from our restaurant even in the privacy of your room. Quality furniture includes not only wardrobe, minibar and mirror, but also a desk with chair. 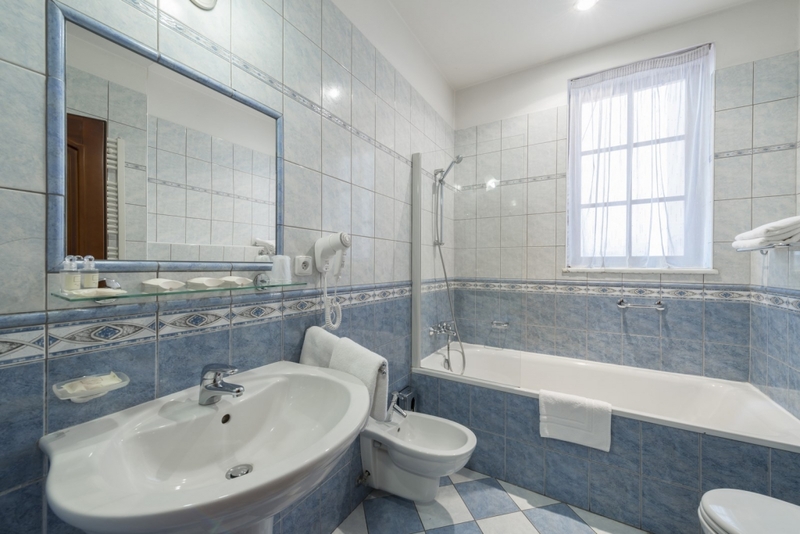 Modern bathroom has in addition to the standard equipment like toilet also bidet, bath and hairdryer. Modern technical benefits include also safe, telephone, satellite TV and free Wi-Fi internet access. 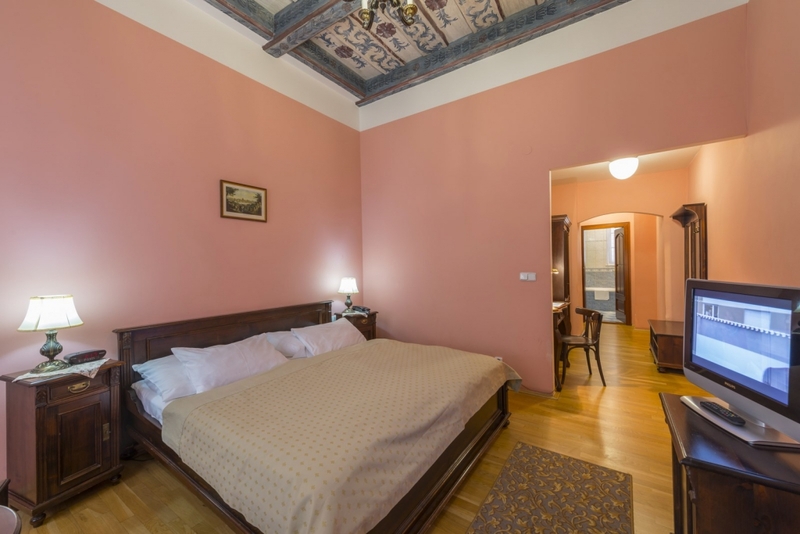 Double bed or 2 single beds (Twin Room), wardrobe, minibar, work desk with chair and mirror are even in this type of room accompanied with safe, telephone, satellite TV and free Wi-Fi internet access. Modern bathroom contains, besides the standard equipment like toilet also bidet, bath and hairdryer. Beds composition is either 1 large double bed with one single bed, or 3 single beds. 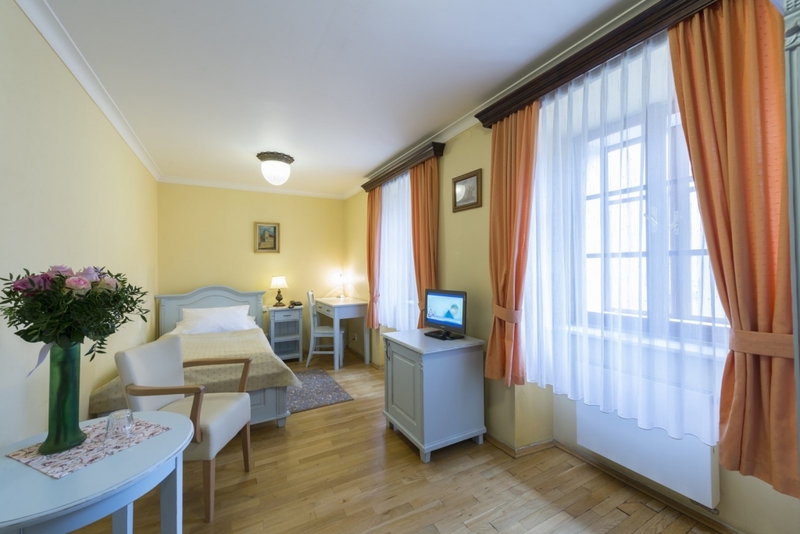 Closet, minibar, work desk, mirror, safe, telephone, satellite TV and free Wi-Fi internet access are main amenities even in this type of rooms. Modern bathroom contains like in other room types, besides the standard equipment like toilet also bidet, bath and hairdryer. 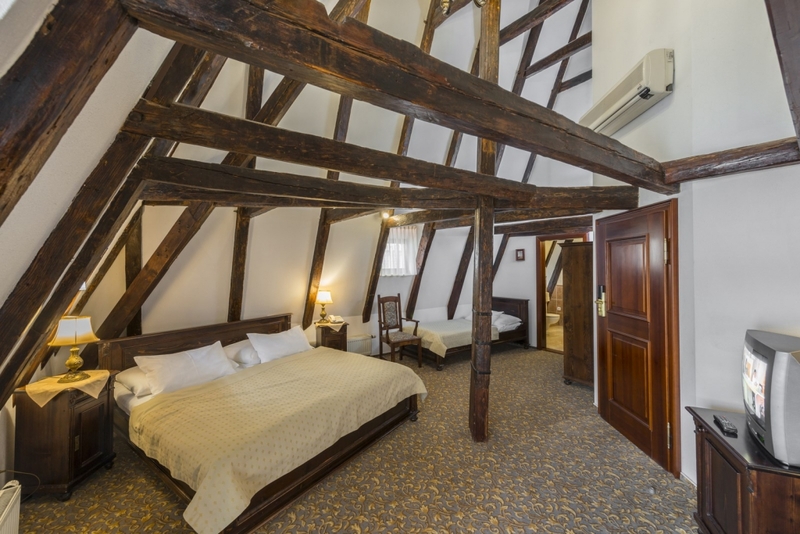 A attic rooms are air conditioned! We recommend our offer of tailored packages, which can be found in the online booking section. 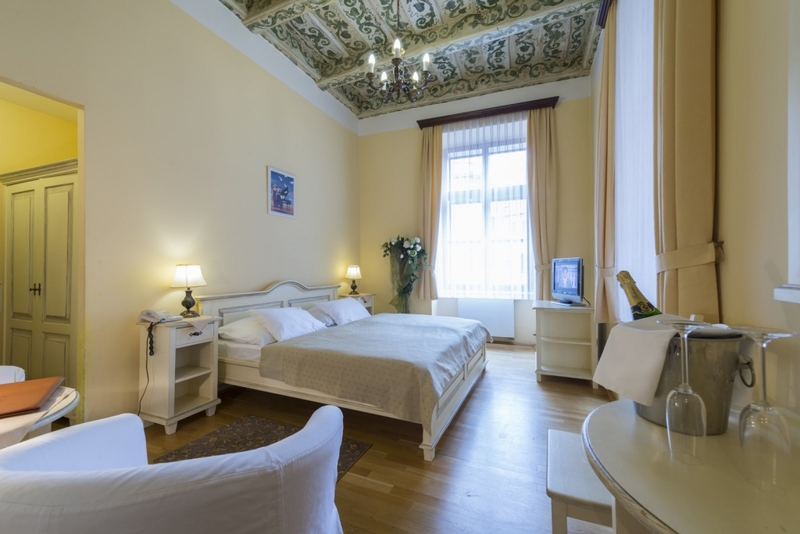 If reqested accommodation is not available in inquired period, please send us an email directly to the hotel slon@hotelcernyslon.cz and we will double-check room availability.